Eczema is an itchy rash that can make your children miserable, although the condition can affect adults, too. Typically, it shows up in infancy or early childhood and sometimes seems to be related to food allergies, according to the American Academy of Allergy, Asthma and Immunology. Although the AAAAI says strawberry allergy is uncommon, it also notes that mothers often report that their children have eczema flares or skin rashes after they eat strawberries. 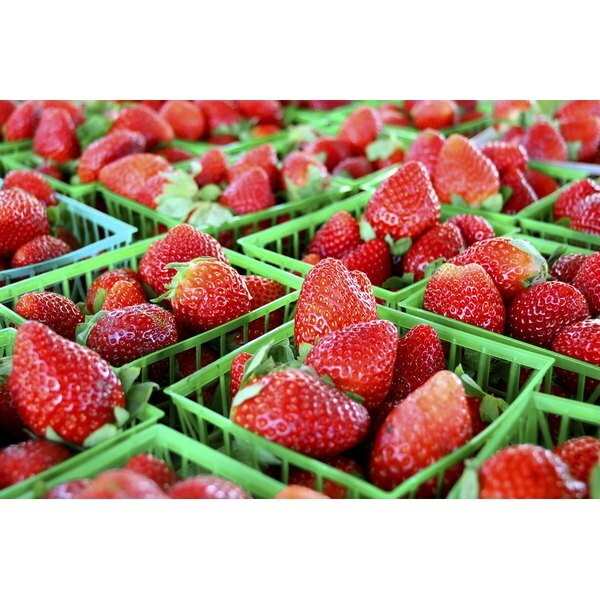 One possible connection between strawberries and eczema is a rash around the mouth that looks like eczema. Called periorbital contact dermatitis, it's not actually eczema, and probably results from the acids in foods such as oranges, tomatoes and strawberries, according to the Children’s Hospital at Westmead. The hospital notes that reactions are typically mild and disappear quickly. If the reaction is troublesome, however, avoiding strawberries should solve the problem. If you have questions about your child's eczema, consult your doctor.